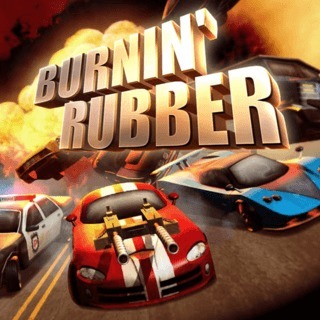 Burnin Rubber is a new racing game full of action and adrenaline! What makes it special are the racing cars equipped with machine guns. On four tracks you can, besides dodging the cars and obstacles in front of you, shoot them and make extra points that will enable you to pick better cars and weapons. Those, and the power-ups you can gather on the road, will help you to improve your high score that will be made up by the distance you cover.